Bensham Manor CR0 Hard Floor Cleaners Commercial & Residential | Quality Property Care Ltd. Does your formerly beautiful ceramic tile floor have dull spots, watermarks and micro scratches? 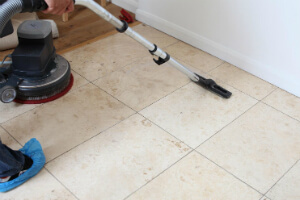 Don’t worry, there is a professional hard floor cleaning company, which can help with your porcelain and ceramic tile and grout cleaning and restoration. Quality Property Care Ltd. offers top quality hard floor cleaning services for residential and commercial hard floor cleaning in Bensham Manor CR0. The professional cleaners are trained and equipped for professional hard floor cleaning, scrubbing, polishing, sealing, tile recoat and an anti-slip protection service at a great hard floor cleaning price. The company offers domestic and commercial hard floor maintenance, and can take care of a wide variety of hard floors. Don’t wait to contact the expert customer support available by sending an online request or calling and ask for a free quote now. To properly clean your floors we need to first assess their condition and exact type, if you can mention that over the phone when booking you will save us the trouble. If necessary we move all furniture, however, its best that the client does it beforehand to avoid any damage to the floor and furniture itself. The floor is cleaned with a vacuum and a mop to remove any debris, hairs and dust. To ensure that the cleaning agent we’ve chosen is suitable we test a small piece like the area behind the door or in the closet. The solution is sprayed on the affected area and left to react with the accumulated dirt. If the floor type allows it, we scrub the solution into the floor in order to get the finer pieces of dirt. Wooden floors we clean with drive pads if their condition allows it, for more serious conditions we use other methods which will be mentioned bellow. The floor is rinsed from the solution and the moisture is removed with a cloth or vacuum. A protective coat is depending and applied on the number of coatings the drying times can be up to 2 hours for 2 hours. In general we work with wood, vinyl, marble, linoleum, ceramic, terracotta, terrazzo, granite, thermoplastic tiles and quite a lot more. Flooring vary in density, how they are worn though time, how much they get harmed and so on and so forth. We’ve made an effort to cover as many of these floor types as we can in order to be as helpful and useful to the Bensham Manor CR0 community as we can. The entire cleaning process starts with the assessment of the type and condition of your floor. Furniture which is in the way is moved, though we do prefer that the client has done so already before our arrival. This lowers the chance of damaging the piece of furniture and the floor that is being moved. As we send a one man team, the moving of heavy furniture is impossible. 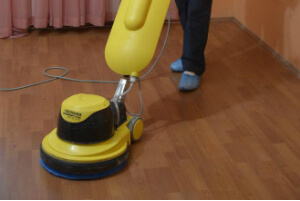 A vacuum is used to clean the floor from hairs, dust and other debris that might interfere with the cleaning. A cleaning solution is chosen based on the type of filth we are dealing with as well as the kind of floor. To be sure we’ve chosen right a small spot of the floor is tested to see how it reacts, if it’s a safe reaction we can proceed. The solution is then applied on the floor and is scrubbed deep into the floor so it can lift the filth from inside. If the floor is wood made we use drive pads which pick up surface filth from wooden surfaces. The floor is rinsed to remove the solution and grime, and it is dried and mopped with a cloth or paper. If the floor type you have requires it we apply a protective coating, a seal, a polish or a wax. Drying time for such coatings is thirty minutes, with a second coating taking up to 2 hours to fully dry and solidify. Feel free to call us at any time and ask anything cleaning related. To book us just call 020 3746 4287 or use the booking form, you can ask any questions at all times. The live line is free and available for all future and current customers.